Wayde van Niekerk has been named on a shortlist of global superstars for the prestigious Laureus Sports Awards in the Breakthrough of the Year category. The South African sprinting sensation can add yet another international accolade for his heroics at the Rio Olympic Games where he smashed the 400m world record to clinch the title. Van Niekerk made history at the 2016 showpiece when he dismantled American Michael Johnson’s long-standing one-lap record crossing the line in 43.03 seconds. It could be Van Niekerk’s second major international accolade after he was named Best Male Athlete of the 2016 Rio Game by the Association of International Olympic Committees (Anoc). “I am humbled just to be mentioned in the company of great sportsmen and women that have been nominated for the Laureus Sports Awards,” Van Niekerk said. 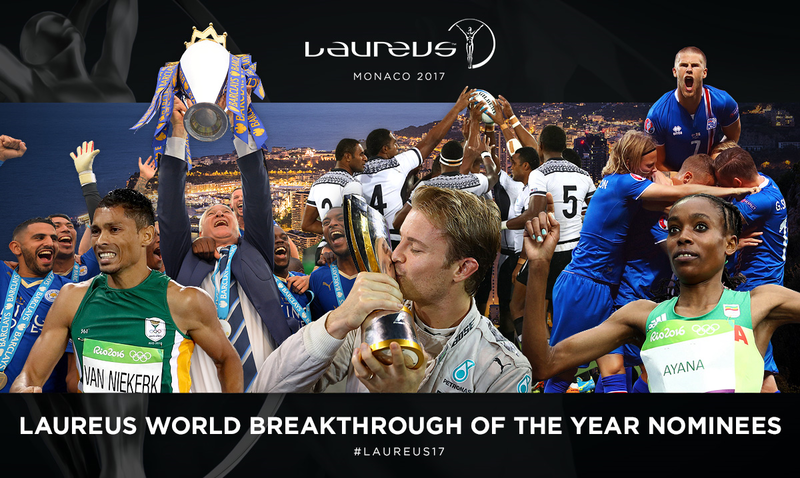 Van Niekerk has been shortlisted in the Laureus World Breakthrough of the Year category along with Ethiopian distance runner Almaz Ayana, the Fiji men’s Rugby Sevens team, Iceland’s men’s football team, Leicester City FC, and Formula One driver Nico Rosberg. A Nominations Panel of the world’s leading sports editors, writers and broadcasters vote to treat a shortlist of six nominations in five categories — Laureus World Sportsman of the Year, Laureus World Sportswomen of the Year, Laureus World Team of the Year, Laureus World Breakthrough of the Year and Laureus World Comeback of the Year. “Named alongside some of the most accomplished athletes in world sport is a testament to Wayde’s incredible rise on the global stage,” said Peet van Zyl of In-Site athlete management.